1.) Can i buy one Pro Acorn CNC12 license and use it on several Acorn CNC control boards? 2.) If I buy an Acorn Pro CNC12 license and then decide to upgrade to the Digitizing Bundle license how much does that cost? 3.) Can I buy an Acorn Mill Pro and Acorn Lathe Pro and Acorn Digitizing Bundle for use on the same Acorn Board? 4.) Can I ask Centroid to move a Pro or Digitizing Bundle software License from one Acorn board to another? Answer: If Centroid issues an RMA for an Acorn board to be returned, any License associated with that board can be transferred to another Acorn board. 5.) Do I have to state at time of purchase what machine I plan on using the Acorn with? 6.) If i bought an Acorn Mill Pro License can i use it with the Acorn Lathe Software? 7.) If i destroyed the BBG (Beagel Bone Green) that came with my Acorn board can i supply my own? 8.) 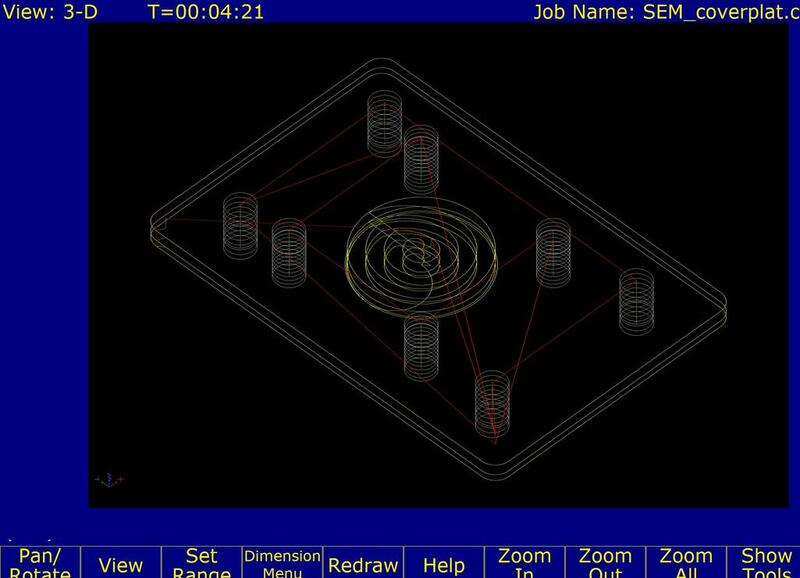 How big of a G-code program can i run with the Free version of CNC12 software? Answer: 50Kb. To give you an idea of what can be done with the Free version of the Acorn CNC12 software: on our website is a part program for a SEM DC servo motor cover plate, below on the left is the plate being installed and on the right is the tool path that was used to make the cover plate. This G code program to make this part is 5Kb in size. This is pretty typical of a home hobby shop type part. 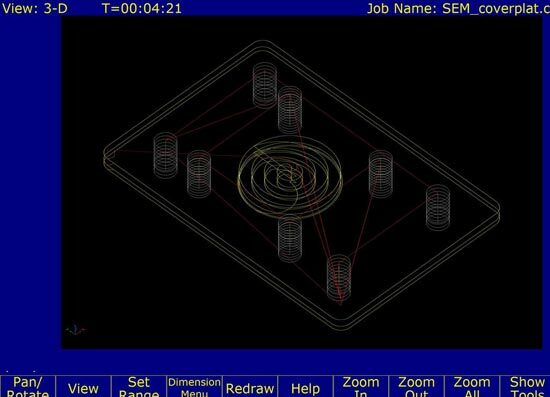 The G code file generated by a cad cam system or in this case Centroid's Intercon conversational programming software (with comments!) to make this part the G-code program is only 5kb in size. The Centroid FREE version of CNC12 has a file size limitation of 50KB so you could run a G code program 10 times this size with the Free version of CNC12. As you can see, you can do a lot even with the Free version of the Acorn CNC12 software. 9.) How long does it take to ship the Acorn CNC control kit? Answer: Typically the Acorn CNC control kits are in stock ready to ship and ship within one or two business day from Howard, PA UPS GND. You will receive and email with tracking number when your kit ships. 10.) Do i have to have a paypal account to order a Acorn Kit? Answer: No. Add items to the cart with the add to cart button and then select "Pay without a Paypal Account"
11.) Can I order an Acorn CNC control kit over the phone? and do you have resellers in the EU? 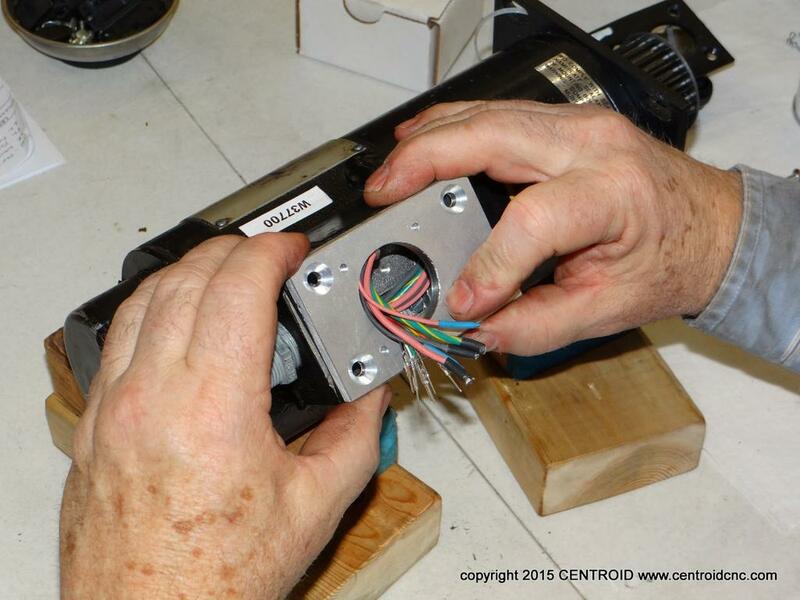 Answer: Centroid accepts orders for Acorn kits soley through our website. Several Acorn re-sellers accept phone orders such as"
12.) Do you have a list of drives that Acorn works with? Answer: The Acorn CNC controller commands many different types of servo and stepper motor drives with industry standard "Step and Direction" drive communication signals. The list of compatible drives is too long to list here, highlights are Yaskawa, Delta, Estun, Panasonic, DMM, Teknic Clearpath, Gecko, Leadshine, Teco to name a few. So, any drive that accepts Step and Direction is compatible with the Acorn CNC Controller. 13.) Who do i contact for Technical Support? 14.) Do i need to purchase a PC from Centroid or can i build my own. Answer: Ready to run Centroid CNCPC's are for sale on the Acorn web page, alternatively you can supply your own CNCPC as long as it meets the Centroid Minimum PC performance specifications found here. 15.) What is the Acorn Return, Warranty and Repair policies?